Beyond Our Borders: Is There Hope For Non-American Brands In The Super Bowl? Beyond Our Borders: Is There Hope For Non-American Brands In The Super Bowl? 0 out of 5 based on 0 ratings. 0 user reviews. Super Bowl 50 is looming closer and with it comes that added perk we’ve all come to love and expect – the Super Bowl ads. The game’s popularity and the fact that social media has come to play a pivotal part in pre-game marketing campaigns does not change one undeniable fact: the Super Bowl has remained, for the most part, an all-American business. 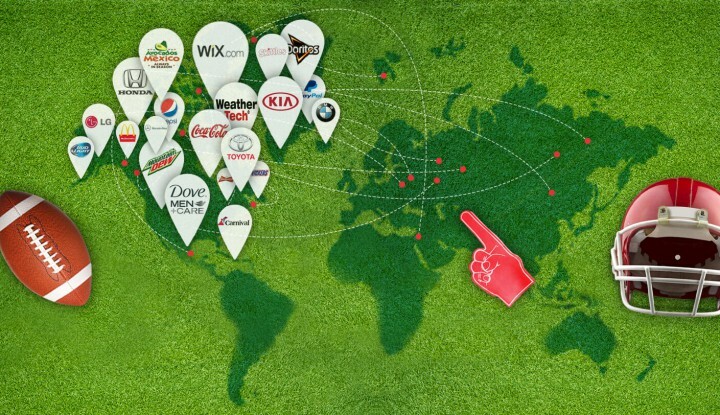 Foreign-owned brands do advertise, of course, but almost all of them have a strong, long-standing presence in the US. In 2015, for example, most foreign-owned brands came from the automotive industry – Toyota, Nissan, BMW, Kia and Mercedes-Benz. Clash of Clans’ Supercell (Finland) and rookie advertiser Wix (Israel) were two refreshing exceptions to this rule. The same story can be told for Super Bowl 2013: All foreign-owned brands – from the automotive industry as well as Samsung and L’Oreal – had strong ties in the American market. SodaStream, which made its first Super Bowl appearance that year, was the only foreign-owned advertiser with no strong presence in the US. Why Don’t More Non-American Brands Advertise in the Super Bowl? There are several reasons why brands with a strong American market are largely the only players in Super Bowl advertising. The two primary reasons – money and ratings – are unsurprisingly intertwined. The cost of a Super Bowl spot is a pricey business. In Super Bowl XLIX (2015), the average cost for a 30-second spot was $4.5 million. The average yearly rise in the cost of a Super Bowl spot since the first game was broadcast in 1967 is a staggering 10%. Between 2005 and 2014, the price of a 30-spot has increased by 75%. Super Bowl 50 isn’t looking like a bargain, either; according to Forbes, a 30-second spot is selling for $5 million – an 11% rise from 2015. A few days before Super Bowl XLIX, The Wall Street Journal compiled a bunch of interactive charts outlining which industries spend the most on making their Super Bowl ads. The biggest surge in ads, since 2000, belongs to the automotive industry – from $32.7 million in 2010 to $117.6 in 2014. Beverage makers spent $67.5 million in 2014, the tech industry – $50.4 million, followed by the agriculture, food and restaurants industries, which in total spent $39.9 million. The Internet industry (GoDaddy, Yahoo and the like) came in fifth with a total ad spend of $16.8 million in 2014. NBC’s broadcast of Super Bowl XLIX drew an average audience of 114.4 million. This made last year’s game the most watched show in US TV history. The vast popularity of the game among American viewers, however, is far from established among viewers outside the US. According to the International Business Times, Super Bowl XLIX was broadcast and viewed in 180 countries in 25 languages. However, compiling ratings outside the US is a challenge and relies mainly on rough estimates. According to Reuters, for example, about 38.5 million watched Super Bowl XLVIII (2014) outside the US. This may sound like a lot, but not when you consider it from a global perspective. As a point of comparison, an estimated 165 million people worldwide watched Real Madrid beat Atletico Madrid in the UEFA Championship League Finals in 2014 – surpassing Super Bowl viewership by some 50%. In other words, when it comes to the global scene, football wishes it were soccer. One obvious reason for the relatively low international ratings is because football has never caught on as a professional sport outside of the U.S. A second reason is time zone issues: the game kicks off at 6:30 pm Eastern, which is 1:30 am in Johannesburg, South Africa and 12:30 pm in Auckland, New Zealand on a Monday – a workday. In the UK and Ireland, this year’s Super Bowl will kick off at 11:30 pm. Pretty late, when you consider that Monday follows and the game usually lasts 3.5 hours. Couple the issue of time zones with the not-so-spectacular ratings (outside the US), add to that the mind blowing cost of buying an ad, producing it and establishing a marketing strategy to push it before and after the game – and we begin to get a glimpse of why American brands have the strongest advertising presence in the Super Bowl. 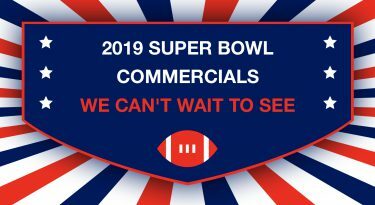 While for the most part, only US broadcasters carry Super Bowl commercials, there are countless websites dedicated to Super Bowl ads. Using the Internet, companies constantly leak information, release promos and use increasingly common guerrilla tactics (such as making ads they know will be banned) to make a splash in the weeks leading up to the Big Game. These Internet ads do better at gathering fans from around the world. In the last three years, the popularity of Super Bowl ads outside the US has been boosted by companies leveraging social media to get their message across. In 2012, Marketing Land reported Twitter and Facebook, each, were mentioned in eight commercials during the Super Bowl. In 2013, half of the 52 nationally aired commercials mentioned Twitter. In 2014, 57% of all the national ads aired during the game featured a hashtag – a 7% bump from 2013. Just for the sake of comparison, in 2011, only one brand mentioned Twitter in its Super Bowl spot. 50% of 2015 Super Bowl ads – 28 of them in total – carried hashtags, and Facebook was the social network most mentioned in the ads. The biggest change in strategy came about in 2014, when brands willing to pay $4 million for a Super Bowl spot began to assemble social media war rooms of their own. 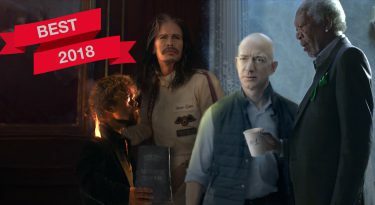 According to Ad Age, Hyundai, for example, employed 30 people – from the head of integrated marketing to a caricaturist – to run its Super Bowl “war room.” According to Twitter, 14 brands invited Twitter team members into their game command centers, to watch and witness live marketing at action. Another trend emerged in 2014: brands began engaging other brands in their Tweets – a fast and free method to trash the competitors. According to CNN, on Monday morning, nine out of the ten top-trending terms on Facebook were Super-Bowl related. Who Used Social Media Best? 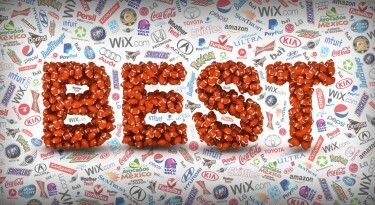 In 2015, the “Digital Bowl Report” by search and digital marketing agency Merkle | RKG, which quantified, analyzed and evaluated how well advertisers supported their Super Bowl ad campaign across the main digital channels, named the Israeli cloud-based web development platform Wix.com as their winner. Wix, a rookie advertiser, launched their #ItsThatEasy campaign and hashtag weeks before the Super Bowl. The campaign featured former NFL legends Brett Favre, Emmitt Smith, Terrell Owens, Larry Allen and Franco Harris. Wix promoted the company’s website builder by building websites for these players, making each an owner of an improbable small business of his own. (Brett Favre, for example, opened up a meat and cheese shop!) The #ItsThatEasy landing page was packed with call-to-actions, tips for an enjoyable Super Bowl (recipes, for example) and a blog rich in content related to the Super Bowl and Super Bowl commercials and campaigns. According to the 2015 Digital Bowl Report, Wix rose above all other brands in engagement and conversation. The company stole users’ attention without spending a dime over their pricey 30-second ad. Their formula of staying on-product and on-message proved to be “a winning strategy”. Wix made a splash with its Super Bowl 2015 campaign. Only time will tell whether the rising popularity of social media marketing will draw more non-American brands to join in on the biggest night of the US advertising industry.